Arlington County and the city of Falls Church have stopped using enforcement cameras intended to catch drivers who illegally pass school buses while they load and unload young passengers, a move that came after Virginia’s attorney general issued an opinion prohibiting police departments from issuing the summonses by mail. Before the opinion issued this month by Attorney General Mark R. Herring (D), drivers illegally passing a stopped school bus in the two Northern Virginia jurisdictions could receive a mailed summons and a $250 fine if they were captured on special cameras on the buses. The tactic was meant to curtail a driving violation that puts children at risk as they go to and return from school. In his opinion, published Oct. 2, Herring wrote that the General Assembly never explicitly gave police departments authority to issue summonses by mail based on evidence from bus cameras. State law, though, allows jurisdictions to mail citations in cases when cameras at intersections catch drivers running red lights. Barring a change in Virginia law, Herring’s opinion could spell the end of the camera program on school buses in the state. Del. Jackson H. Miller (R-Manassas), the sponsor of the 2011 bill that allowed school districts to install the bus cameras, said he wanted to give police the authority to issue the summons by mail, but specific language allowing the practice was stripped from the bill during the legislative process. School officials said they are concerned that shutting down the program could embolden drivers to pass stopped buses if they know cameras aren’t watching. School districts across the country have started using cameras on school buses to deter motorists from illegally passing buses. In many cases, laws that bar motorists from passing school buses are difficult to enforce because a police officer has to witness the violation or a bus driver must record the violation. And even if an officer witnesses the violation, the officer has to drive around the bus to pull over the offending driver, also putting students at risk. Advocates say the cameras, which automatically activate when stop-arm signs are deployed, allow police to more easily enforce the law. 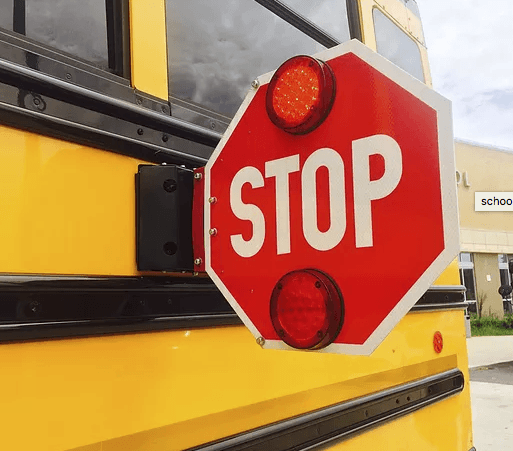 In Montgomery County, Md., school officials installed cameras on 25 buses and created a public awareness campaign, hoping that the threat of a $125 fine would deter drivers from illegally passing school buses. A survey there found that more than 1,000 motorists were passing stopped school buses every day. Although Herring’s opinion does not bar police departments from using the cameras, it would require officers to deliver the summonses by hand. That proved too much of a burden in Arlington, Falls Church and Albemarle County, where Charlottesville is located. The Albemarle School Board and Board of Supervisors have voted to start a camera program in the county. But when county officials looked at the state’s statute on school-bus cameras, they found that it did not expressly say that police departments could issue the summonses by mail. County Attorney Larry W. Davis said county and school officials later lobbied legislators to get them to change the law to make it explicit that police departments could issue by mail violations caught on school-bus cameras. But a bill to add that language did not make it out of committee, Davis said. This summer, Davis asked the attorney general to weigh in on the matter, which led to the Oct. 2 opinion. School officials in Albemarle County are still eager to install the cameras. A study showed that 6,000 cars pass school buses there every year. “When you’re talking about that many violations over the course of the year, it’s close to a miracle that you haven’t had a serious accident or a child being hurt or injured,” said Phil Giaramita, a spokesman for Albemarle public schools.